One of the most popular subdivisions in Lake Mary is Heathrow, an unincorporated suburban community in Seminole County. Heathrow is often referred to as its own little town which is why for the purpose of our Seminole County neighborhoods section we are treating it as such. Developed in 1985 by Jeno Paulucci as a private, gated, master-planned community there are about 2,100 homes in Heathrow (making it a population of approximately 4,000 people). Within Heathrow there are smaller subdivisions, each of them unique because built by different builders in mostly different style/elevations and with different floor plans. Please refer to the list below for a quick overview of the 28 subdivisions within Heathrow and their builders. The area around Heathrow (including the Markham Woods area) is one of the fastest growing and most desirable areas within Seminole County (North of Orange County/Orlando). A popular leisure and entertainment spot for people living in Heathrow are Colonial Town Park and Park Place at Heathrow, often referred to as “Downtown Heathrow” or the new downtown Lake Mary. Colonial Town Park and Park Place at Heathrow consist of various trendy restaurants & bars (Dexter’s, Carlos & Charlies, Liam Fitzpatrick’s, Vineyard Wine Company, Amura, Corona Cigar Company, Ruth’s Chris Steakhouse, World of Beer, Fishbones, Caddy’s Pub, Applebee’s, Shan, The Cigar Bar, Terra Mia, Silvestros and some more), boutiques, coffee shops, businesses, spas & salons, doctors offices, a grocery store (Publix), and a movie theater (AmStar).All of this is, depending on where you live within Heathrow, within walking distance! Heathrow offers indeed a semi-urban lifestyle that is desired by many! Heathrow is also located virtually within the Lake Mary business corridor. International Parkway is home to many high tech companies, national and international firms, including Mitsubishi, AT&T, Chase, and the headquarters of the American Automobile Association (AAA). No wonder this area is said to be one of the fastest growing in the state, and even whole country. The Heathrow/Lake Mary area will put you close to where things are happening in the Central Florida area. This is an area where true residents of Central Florida live and play. Located only within minutes of Interstate 4 and toll road 417, and only about 20 minutes from Downtown Orlando (19 miles) and Winter Park, Heathrow is a sought after location.You will also be close to the beaches: Daytona and New Smyrna Beach are only a half an hour car ride away. 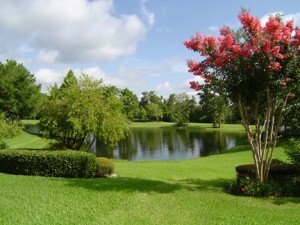 Heathrow is also great for people who like outdoor activities: plenty of walkways throughout the subdivision and a perfect setting for bike tours, as well as easy connection to International Parkway which connects safely to the popular Seminole Wekiva Trail – ideal for walking, jogging, skating and biking. Another benefit of living in Heathrow are the excellent schools (Heathrow Elementary and Markham Woods Middle are desirable top rated Lake Mary schools and Sanford’s Seminole High has been recently mentioned in Newsweek as one of America’s top high schools and offers the county’s IB and Health Academy Magnet programs) and safety (the community has two 24/7 guard gated entrances and was rated the 4th safest community in the entire state of Florida). The median household income in Heathrow is, according to the Orlando Sentinel, one of the highest in Central Florida. Pride of ownership shows throughout the community. Our buyers always notice the excellent upkeep within Heathrow, the manicured lawns and beautiful, mostly idyllic landscaping. In other words, expect to be impressed when you enter Heathrow! HOA fees in Heathrow can range from anywhere between $150/month to $350/month, depending on on your specific subdivision within Heathrow. The HOA fee consists of a fee paid to the Master community (guard, gate, general landscaping) and one paid to your subdivision within Heathrow. There is a soccer and baseball field, as well as a park available to residents. If you wish to also use the pool, tennis courts or golf course at the Heathrow Country Club there are different packages available at additional fees. For more information about the Heathrow HOA fees, check out this list of Heathrow HOA fees based on subdivisions. From January 2009 to June 2009, there were 33 single family homes sold in the Heathrow FL real estate market. The highest priced home sold for $1,460,000 and the lowest priced home for $235,000. Square footage of homes in Heathrow ranges anywhere from 1,400 square feet to 14,000 square feet. Amenities: Guard gated (2 entrances, one on H.E. Thomas Blvd., the other on Lake Mary Boulevard), park, soccer field Club House with Tennis, Pool and fitness is accessible for additional membership fee; golf course is accessible for golf club members only and fees will apply. All data gathered summer 2009. 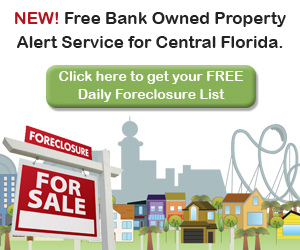 Please contact us at 407-340-6458 to confirm or update. The accuracy of the information contained in this section is deemed reliable but cannot be guaranteed and each person is advised to fully investigate the matters presented prior to taking any action in reliance of the information presented herein.